This short loop hike into the Niagara Falls Gorge is one of my favorite trails in Western New York. 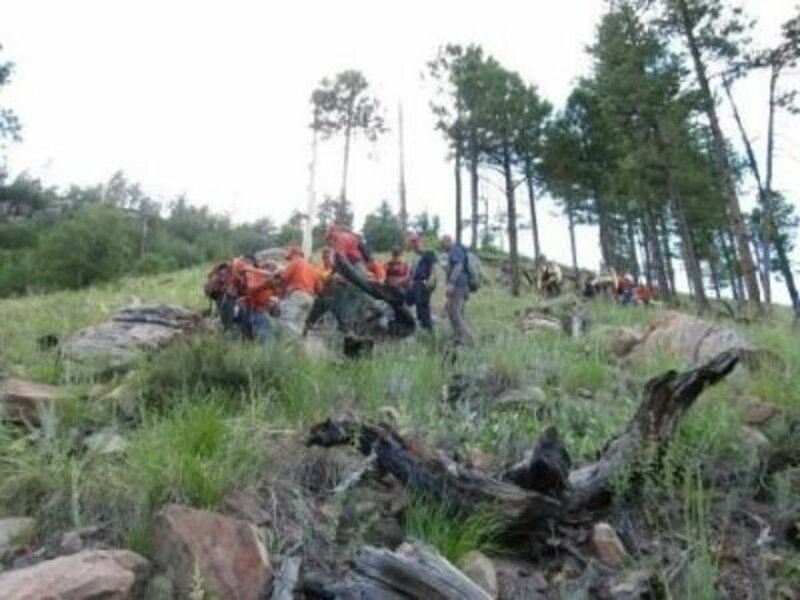 The scenery is spectacular and the climb gets your blood pumping. 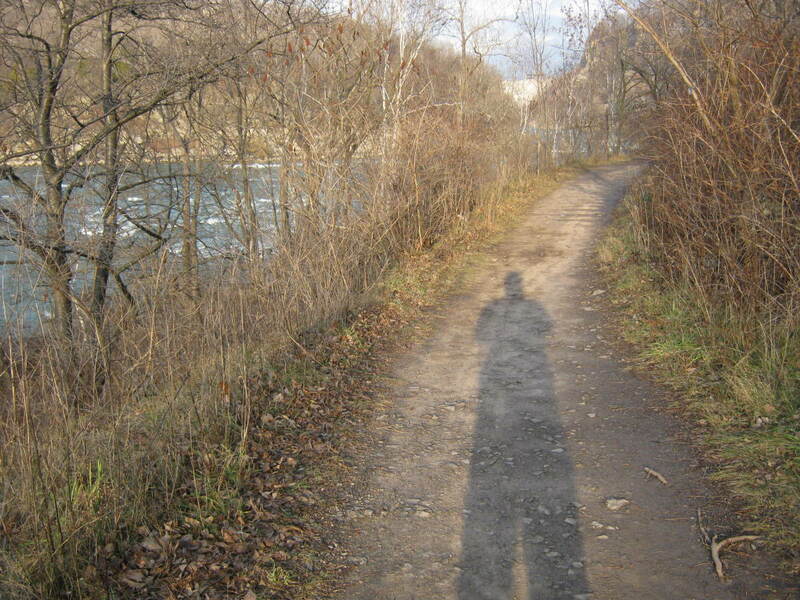 Venture down this trail midweek and you'll escape the crowds of Niagara Falls and even find some solitude. Though this loop can be hiked either from Whirlpool or Devil's Hole State Park, I generally like hiking this trail from Devil's Hole. 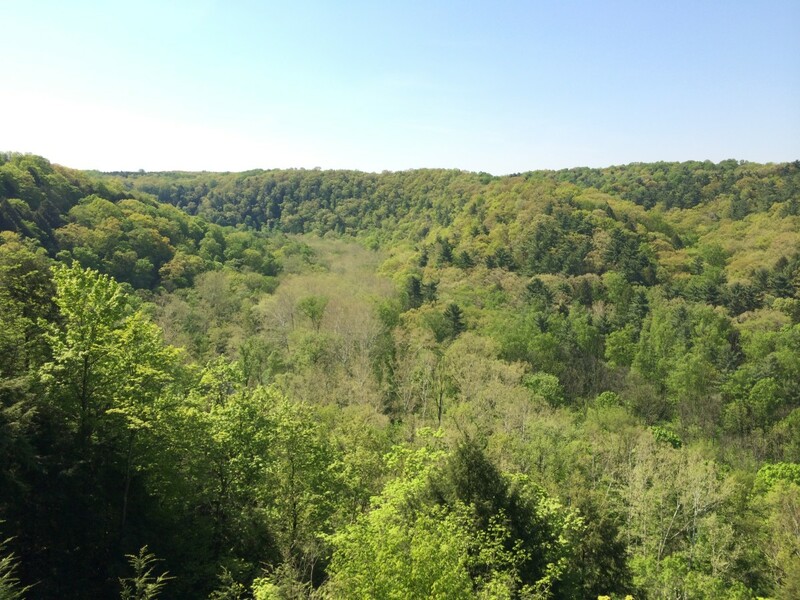 Start by parking in Devil's Hole then walk to the Rim Trail and walk south (head left—with the river to your right). 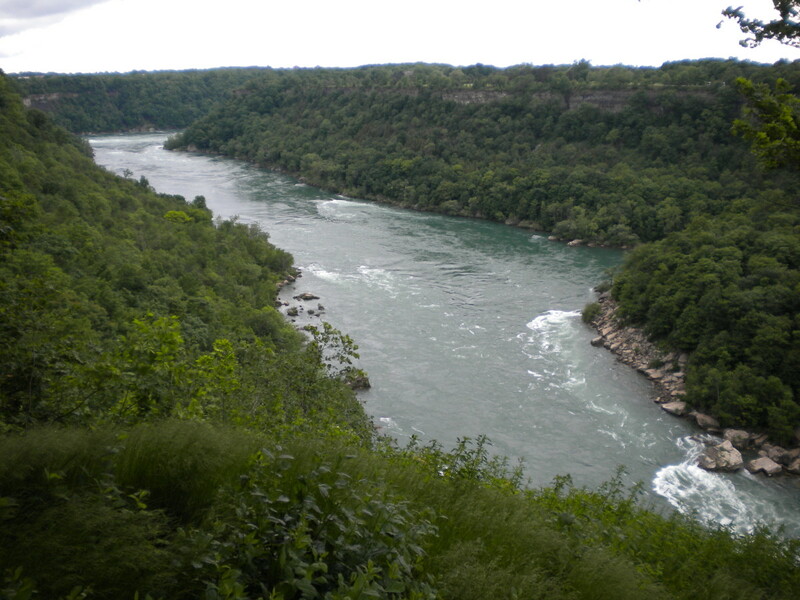 The Rim Trail runs along the top of the gorge from Devil's Hole right to the top of Niagara Falls. 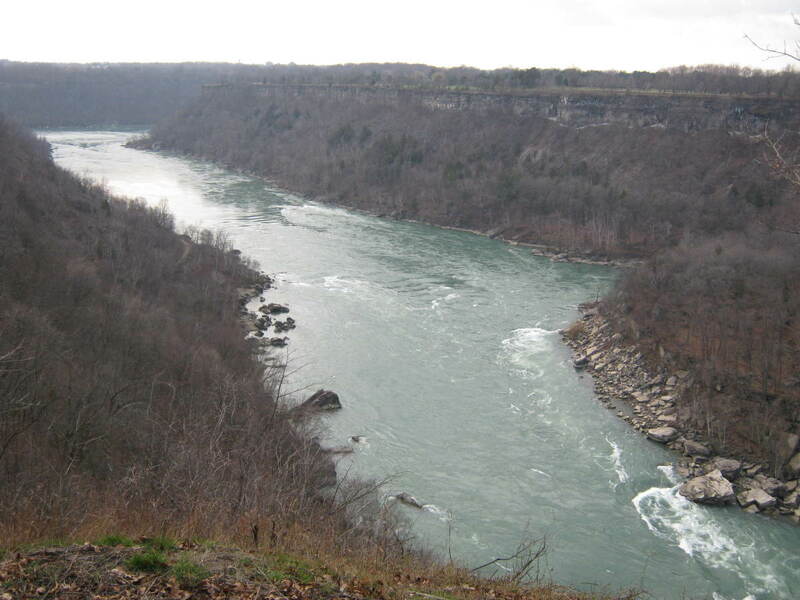 Along the way, there are some spectacular vistas of the Niagara Gorge and the river below. 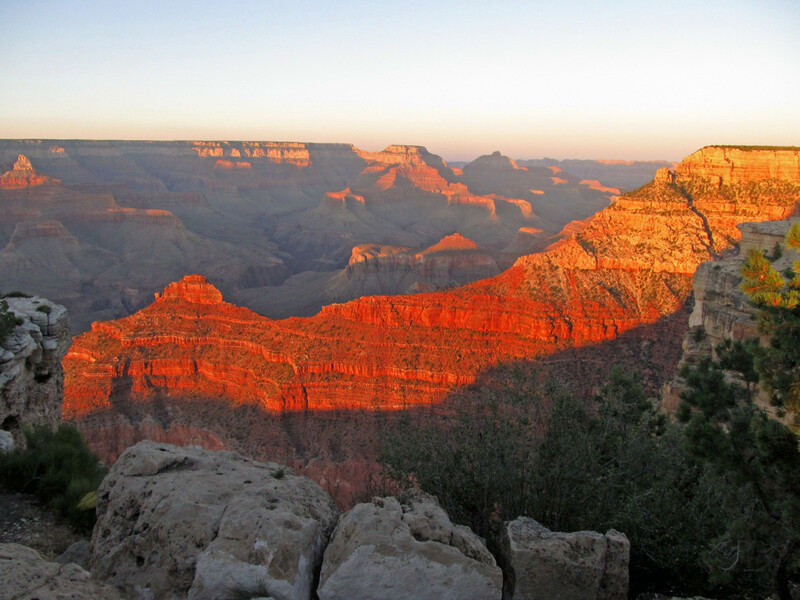 In itself, the Rim Trail is a fantastic hike with great views. 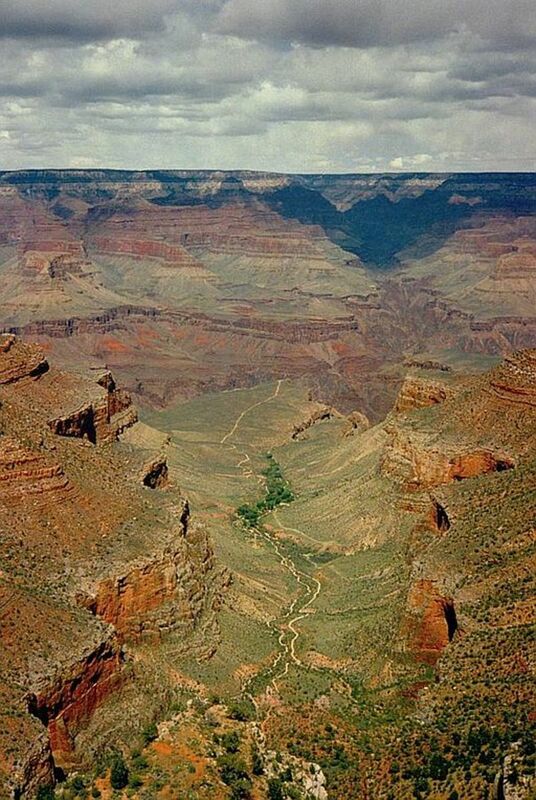 However, on this hike you will only take the Rim Trail .78 miles to the Whirlpool Stairs. 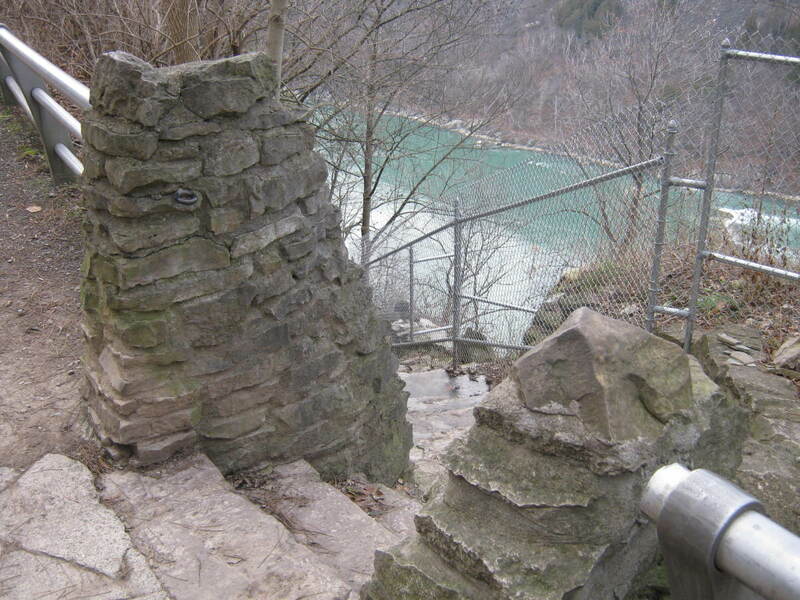 There are many ways into the gorge, but the Whirlpool Stairs is amongst the most popular. 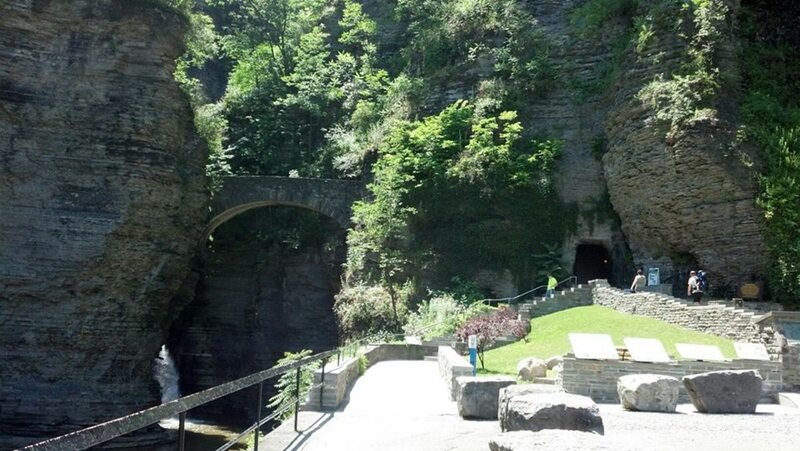 It is about 300 steps to the bottom of the gorge or about .2 miles. In 2016, the upper portion of the Whirlpool Stairs was replaced with more level and easier-to-traverse stone stairs. The bottom third of the stairs have not been replaced yet though. 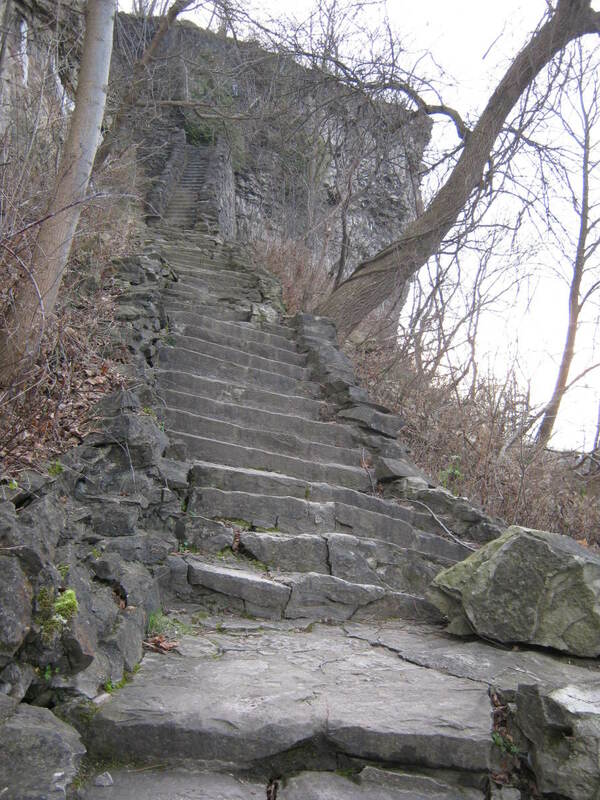 Be careful walking on these steps, as over the long years of use many have crumbled under the pressure of tourism. Just take it slow, watch your step, and take a break if you need one. If you do take a break please do so in one of the flat wide areas (aka switchbacks) so other people can pass. 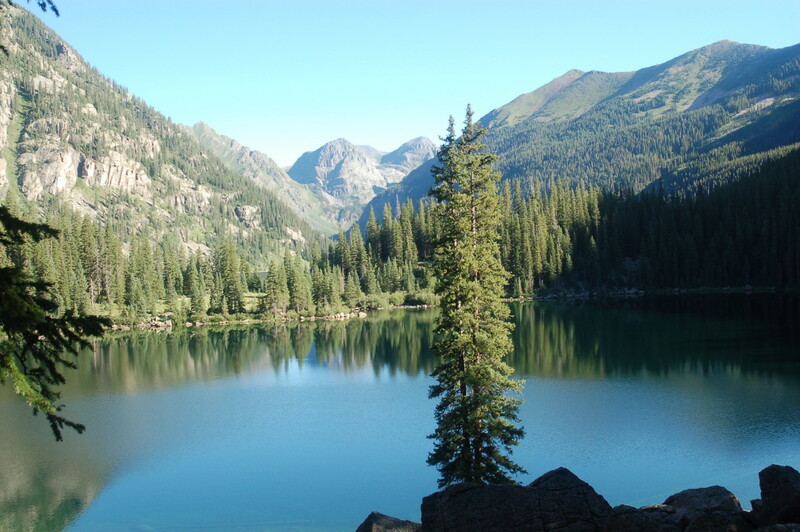 As you near the bottom, you will pass several picnic areas with stone tables and benches. If you plan on having lunch down here bring a pad to sit on and remember to take all of your trash with you. 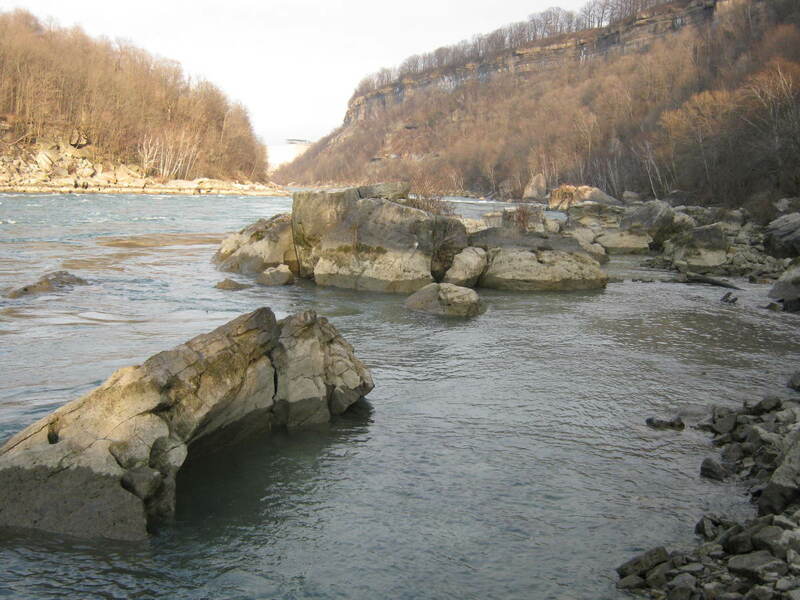 At the bottom of the stairs, there are two more tables, a clear view of the water and an intersection with the Devil's Hole and Whirlpool Rapids Trails. Be sure to take the trail to Devil's Hole to the right to continue on with the short loop. 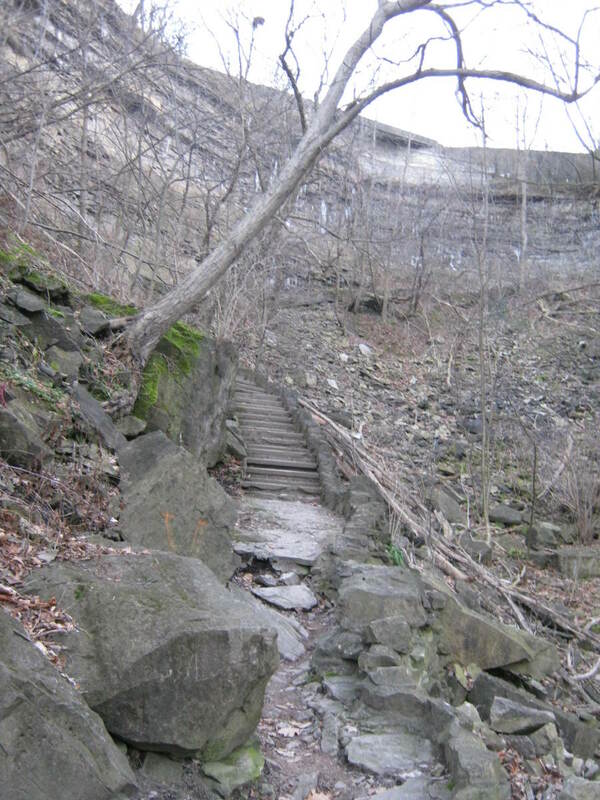 Many of the trails in the gorge follow the route of the former Niagara Gorge Railroad. A trolley ran along the bottom of the gorge from Lewiston to Niagara Falls. Though occasionally the remnants of the old route are visible, it's hard to believe that a train ran down here from 1895 to 1935. After a few tragedies on the rail line and a steady decline of business, the railroad finally closed in 1935 after a rockslide near the Whirlpool Rapids bridge decimated much of the route. There are many spots along the trail where it is fairly easy to access the water. This is a popular area along the river for dedicated fishermen to practice their art. However, please pay attention to the signs and do not enter the water. It seems like every year an unsuspecting person gets pulled into the powerful Niagara River. Even if the the water looks calm, beware of strong undercurrents which will pull you into the rapids. So remember, when it comes to the water, you can look but don't touch! After hiking on the level and easy to follow trail about .3 miles past since the stairs, you come to a gigantic stone jutting out of the ground. 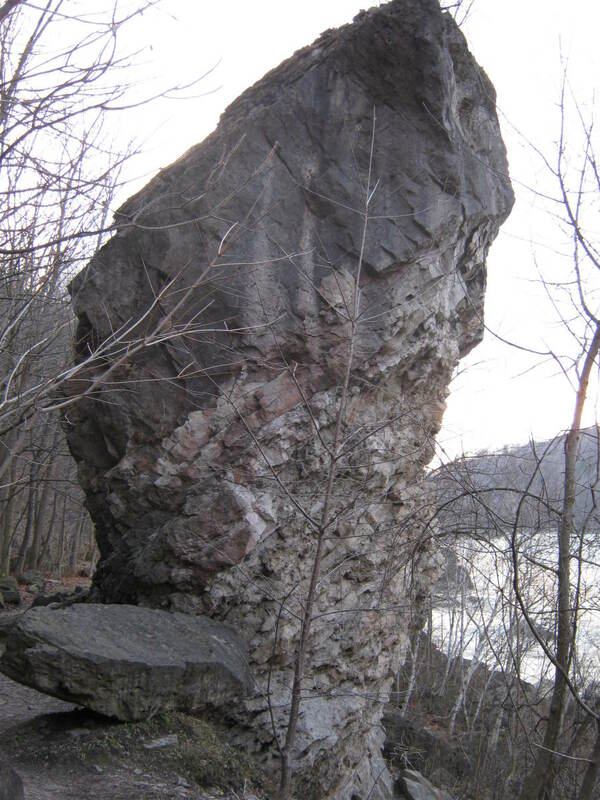 This aptly named landmark is "Giant Rock" and is actually sticking into the earth and not popping out. 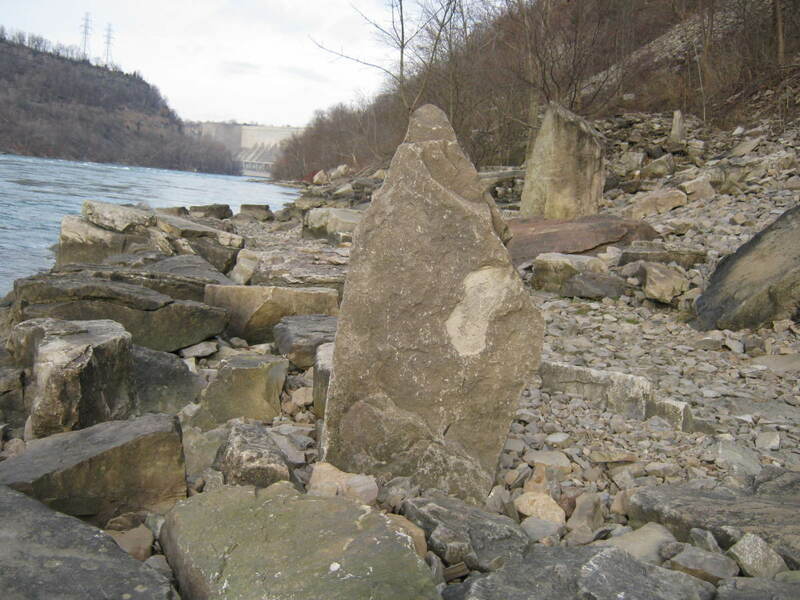 During the eons of geological strife of the gorge this two story chunk of dolomite fell from the Lockport rock formation and buried itself in the earth. There is an interpretive sign nearby (one of the few) that tells about this interesting sight. As with anytime you go hiking, you should be prepared for all eventualities - including severe weather - before leaving your car. 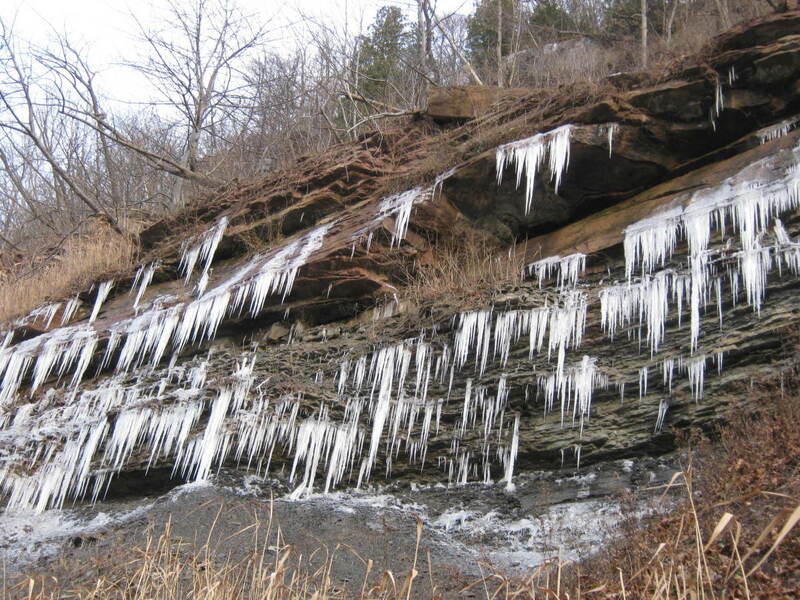 Niagara Falls creates its own microclimate so the weather changes rapidly and often. 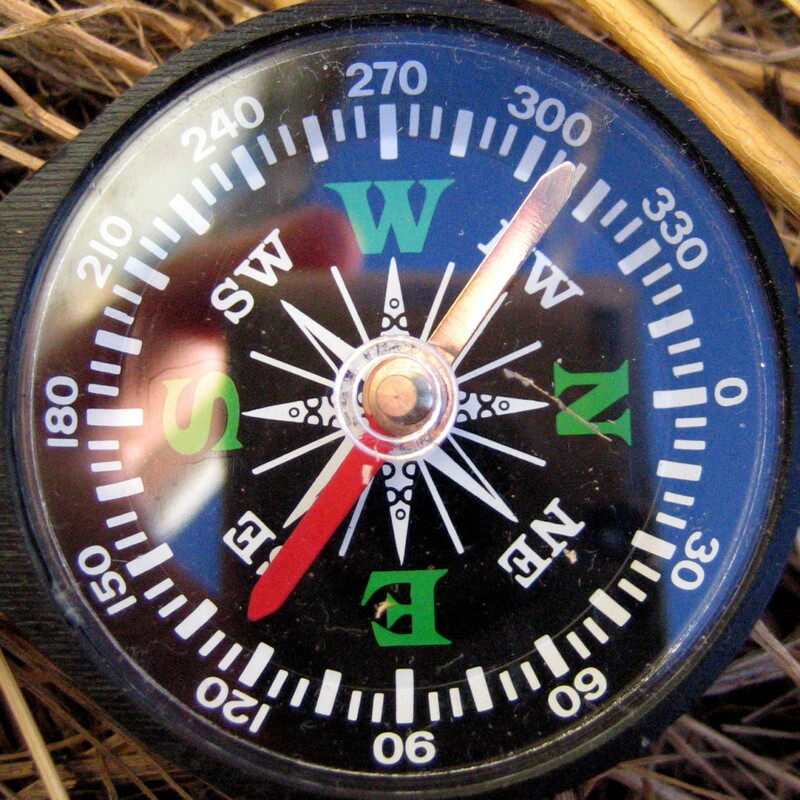 Read about the Ten Outdoor Essentials you should carry on every hiking trip. 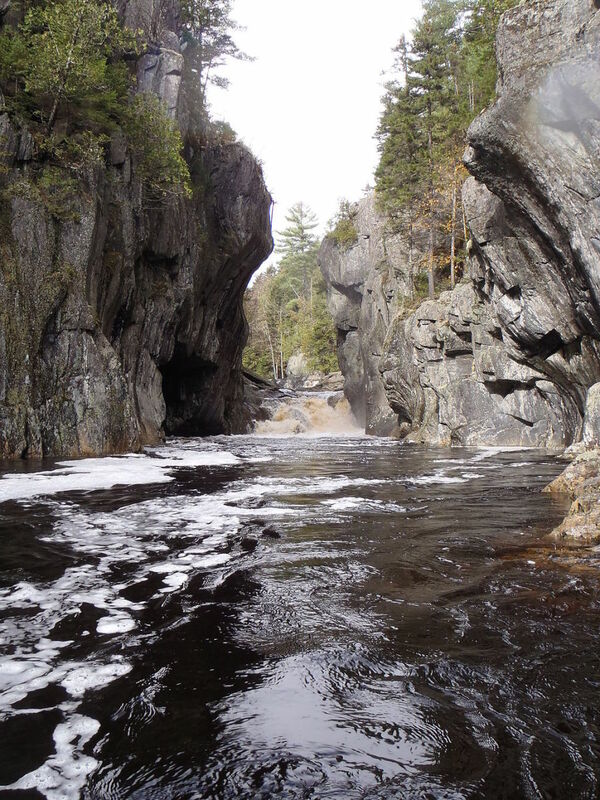 After walking a total of 1.7 miles on this loop, you will come to a large opening in the bare rock cliffs to your right. 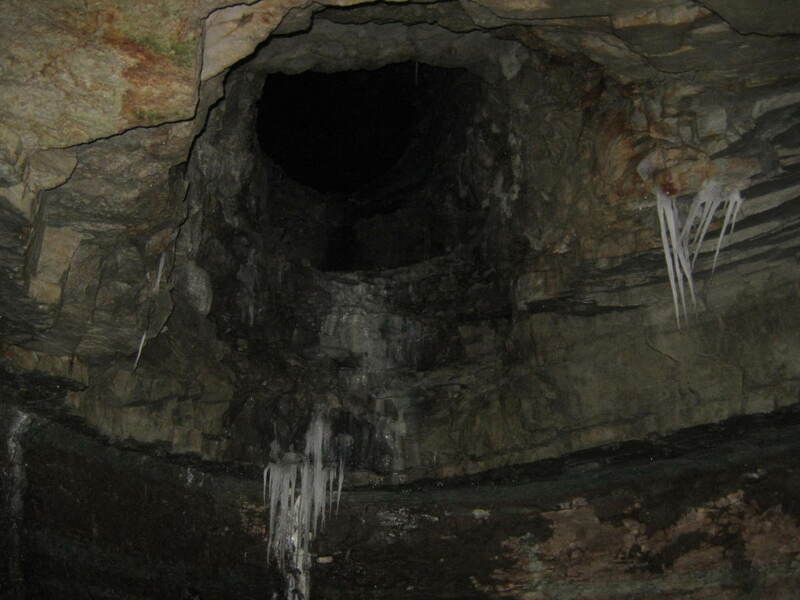 This large cave and drainage is among the easiest of the gorge caves to access and walk into. Be careful though, as in all caves, for loose rock and slippery conditions abound. Also, you shouldn't venture away from the entrance unless you are confident and prepared for a spelunking adventure. Be advised that this cave isn't actually Devil's Hole Cave. That cave is located north of this section of trail. After walking about 2.2 miles on this loop you will come to the Devil's Hole Stairs that take you to the top of the gorge. In case you miss the stairs somebody spray painted "STOP" on a tree signaling the end of the official trail. Sure Niagara Parks could have erected a nice sign but orange spray paint is so much classier (sorry - one of my pet peeves). 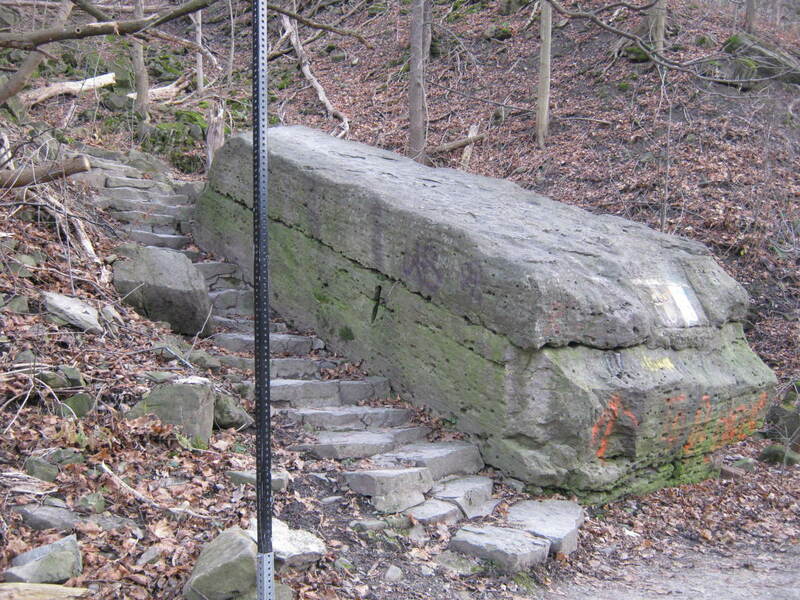 It is .24 miles to the top of the stairs, which you'll notice are in better repair than the Whirlpool stairs. There are also several spots on this trail that are perfect for exploration and meditation. 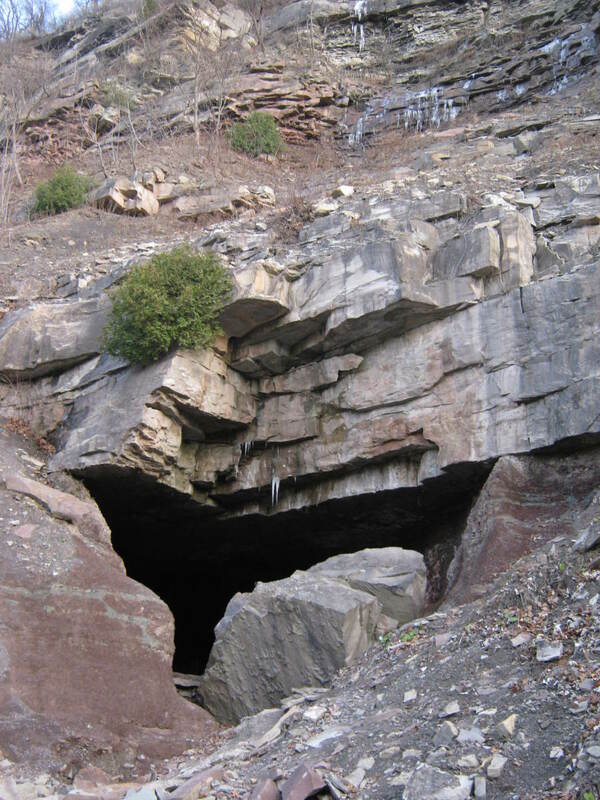 Walking up through Devil's Hole is a great experience, haunting even, especially when you ponder the history of the 1763 massacre and the legend of LaSalle. For me it is like walking through Tolkien's Rivendell with an intertwining of stonework and nature in perfect harmony. 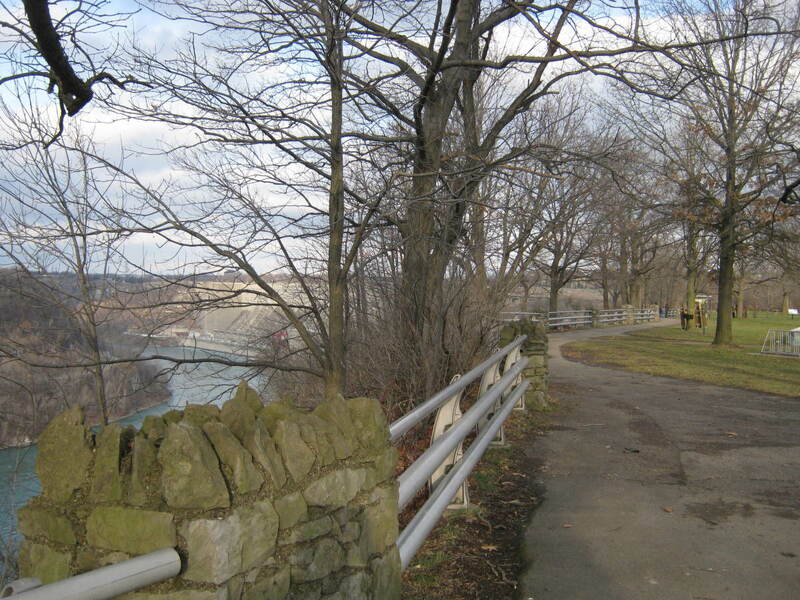 After reaching the top of the stairs, turn right on the Rim Trail and walk toward the Devil's Hole State Park parking area. Be sure to walk to the side of the cliffs and overlook the journey you just completed. 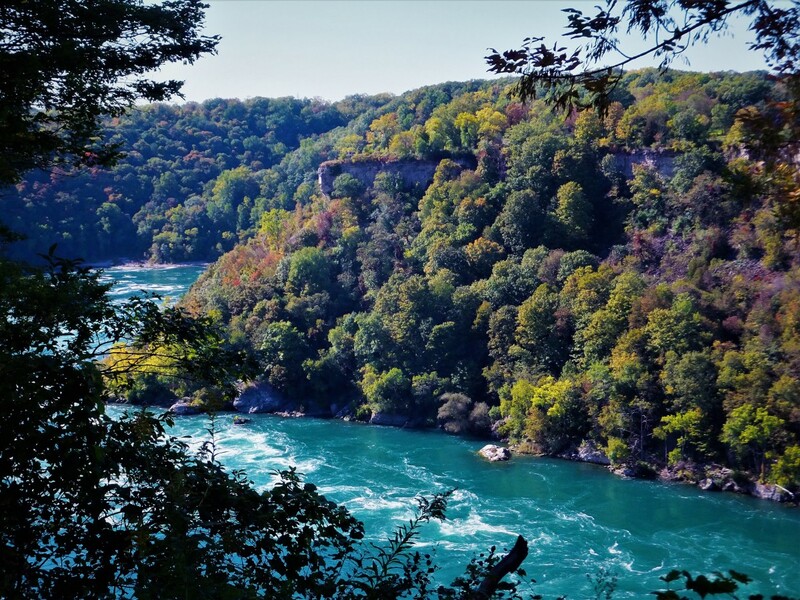 The hiking trails of the Niagara River Gorge in Niagara Falls are one of the hidden treasures of the Western New York Region. Share your pictures, videos, and trip ideas here. Niagara Falls is one of those places that everyone should visit at least once in their lifetime, of course I am a big fan of the hiking trails in the Gorge. I'll have a few more Hubs coming out on the area pretty soon. Thanks for the compliments and for sharing Wesley! Beautiful pictures here. I just Pinned the first one. I've never been to Niagra but would love to go. I'll have to make the trip one day once I'm back in the US. Voting up and sharing. Thanks for the vote up! Yeah, everyone has to go to Niagara Falls at least once in their life. Of course I go about once a week. Most people spend their time at the Falls proper taking in the touristy type of sites, but there is a lot to explore off the beaten path.